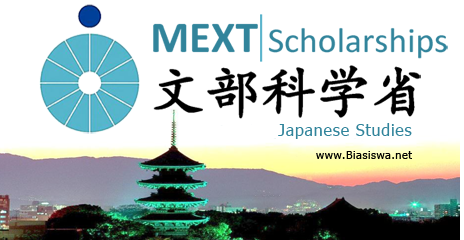 The Embassy of Japan is pleased to announce that the Japanese Government (Monbukagakusho:MEXT) Scholarships for Japanese Studies is now open for application until 17 th February February 2017. Qualified Malaysian nationals who would like to pursue their studies in Japan are invited apply. During the term of scholarship, monthly allowances approximately 117,000 yen (approx RM4,500) will be given to each Japanese Studies grantee, and 143,000 yen (approx RM5,500) to Teacher Training grantee (amount is subject to change). Fees for entrance examination, matriculation and tuition at universities will be exempted. A round-trip airplane ticket is also provided. b) Applicants must be 2nd or 3rd year undergraduate students (must not be final year students) majoring in Japanese Language or Japanese Culture enrolled in non-Japanese universities. c) Applicants must have good command of Japanese Language. The interviews for program will be held on early March 2017. The Embassy of Japan will notify qualified candidates only (by email and letter) to attend the interview. Looking a few time before japan and china were never known for international standards of study but in the past few years they have emerged giving a large number of scholarships to the students. That’s great.